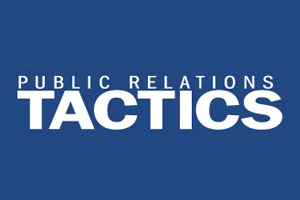 I was asked recently by PRSA-NJ to share my thoughts on some key 2011 PR Trends. My answers were featured in its quarterly e-newsletter. What do you see as this year’s top PR trends? Some PR professionals are fortunate enough to not only be great writers, but also to find the process easy and enjoyable. If you’re one of them, you can skip to another article. But if you’re like me, you need and use every available tool, tip and trick to make your writing effective and to make the process as painless as possible. Here are some better writing reminders that I’ve used over the years and still use today. Some suggest an overall approach to writing; others are specific tips to help you avoid common errors. 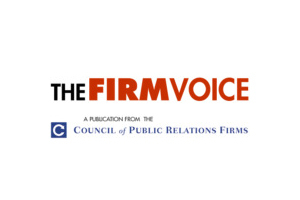 Even with the enormous impact of digital media, public relations professionals must know how to work effectively with traditional media outlets, which still wield tremendous influence. While staff poaching wasn’t a major issue in 2009 or 2010, I believe it will be again in 2011, as the PR industry continues to rebound. To read “Preventing People Poaching, which features my “Seven Points for Staff Retention,” just scroll down to page 37/272, AKA 1.29. The following outlines the top tips I share with those who want to improve their writing. You’ve probably heard many of these; the key is dilligently applying them to all your writing.